call 800-828-7873 to book with the hotel directly. Please call our reservations line directly for the broadest selection of room types and prices, or book through bestwestern.com while remaining alert to terms for certain room rates. If using online travel sites, be aware that discounted rates are often tied to specific room inventory or restrictions, including prepayment or non-cancellable status. 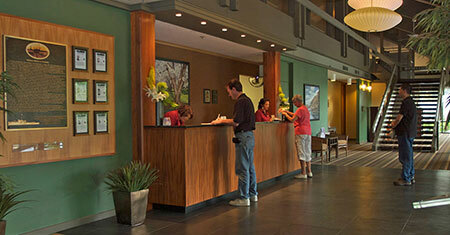 Call our hotel directly (800-828-7873) prior to booking for help navigating options and answering questions. We are happy to help! To reserve a room, guests must be aged 21 & over - or 18 & over with active military ID.